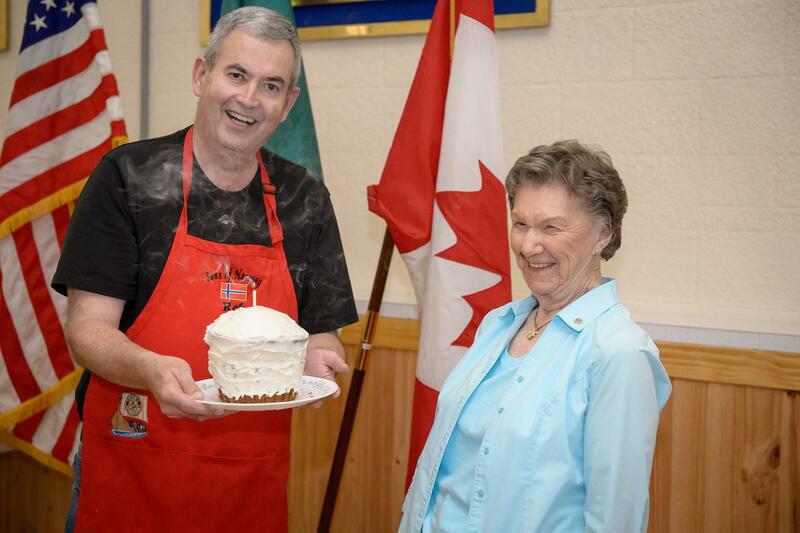 Friday’s meeting was filled with birthday surprises for Ardis Morrow. Members responded to President Michele’s secret request to “bury Ardis with flowers” with lush bouquets and fragrant lilacs. A sweet cake with a trick candle, and a hearty rendition of Happy Birthday, made her birthday celebration complete. 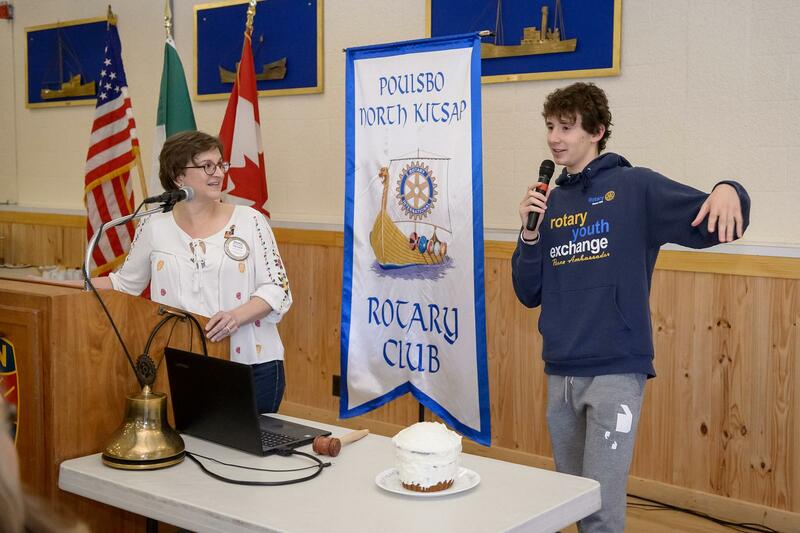 As his year in the US winds down, Jack is feeling the melancholy of his “lasts” he shared that he attended his last exchange student meeting and will miss the many friends he made during his Poulsbo Rotary year. His playful exchanges with Michele are a highlight of our meetings, and Friday’s meeting was no exception. We are sure going to miss you, Jack! There’s more to color than meets the eye! As featured speaker, colorist Melissa Bolt, explained, color is more than about beauty—there is also a psychological aspect, a tangible reaction that comes about when seeing various colors. For instance, did you know that blue is used in bank branding because it represents stability and dependability? Sharing these examples, along with an update on current color technology and trends and how color is used in professional settings, Melissa captivated our members with her strikingly beautiful slides and deep connection to color. This year’s Pantone color of the year? Ultra Violet! We can all learn more about Melissa’s services by contacting her at melissaboltcolor@gmail.com. With over 36,000 Rotary Clubs worldwide, 886 of which are new this year, Rotary has maintained its global membership of 1.2 million members through efforts like those made by our Membership team. 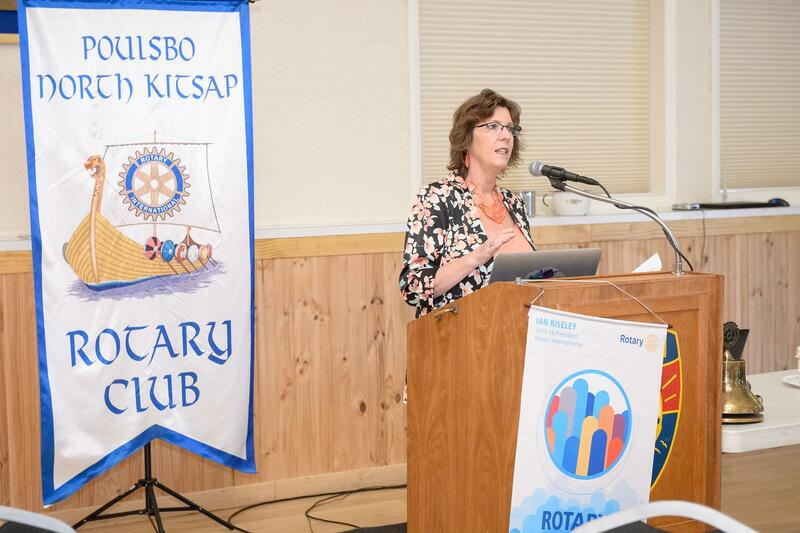 Poulsbo’s membership stayed steady this year maintaining our status as one of the larger clubs in the area. As of Friday’s meeting, 230 riders have signed up, the best year ever! With a stretch goal of 350, our efforts to register riders continues with an expectation of at least 300 by Sunday’s race.